If you are interested in the Spanish DLI program for your child entering kindergarten for the 2019-20 school year, please complete the Kindergarten Dual Language Immersion Interest Form (available Tuesday, January 15, 2019 at 7:30 a.m.) and submit it online. If you are interested in the Spanish DLI program for your child entering first grade for the 2019-20 school year, please complete the 1st Grade Dual Language Immersion Interest Form (available Tuesday, January 15, 2019 at 7:30 a.m.) and submit it online. In order for us to project class sizes next school year (2019-2020) and to plan for the needs of our students, PLEASE complete the Student Intent to Return form by 8:00 p.m. on Thursday, February 14, 2019. The Student Intent to Return form MUST be completed for EVERY student in kindergarten through 5th grade. Thank you for completing our Student Intent to Return Form for the 2019-2020 school year. CTA Liberty is one of four AZ schools awarded the 2013 Blue Ribbon from U.S. Department of Education!! Learn more by reading the East Valley Tribune and Arizona Republic articles. For instructions on how to register for student grade portal please follow this link. 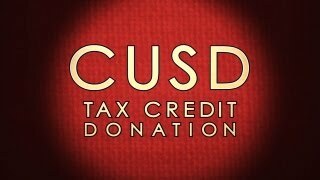 For tax credit donation information click here to make a Tax Credit Donation.